This page is dedicated to Peggy Lee's movie soundtrack work, both as songwriter and vocalist. 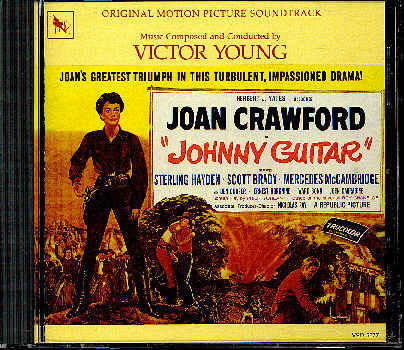 The main entries discuss soundtracks for which her services are known --or, otherwise, believed-- to have been commissioned. Two sections of Miscellanea occupy the bottom of the page. The first section's theme: Lee compositions inspired by (but not expressly written for) movies. As for the section section, it offers a very selective sampling of movies and TV series whose soundtracks contain studio recordings by Peggy Lee. Film Roles page, the later on her Animated Movies page. 1- 3. 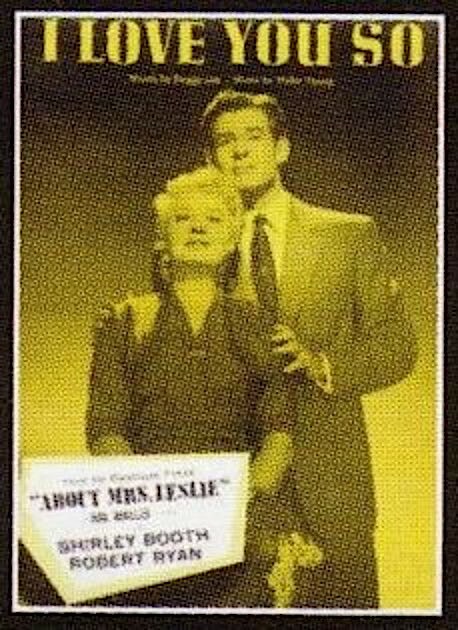 Title: About Mr. Leslie / Note: Entries #2 and #3 display advertisement for the 1954 Paramount movie About Mr. Leslie, scored by Victor Young. Various sources of note, including David Meeker's Jazz On The Screen, identify this movie's love theme as "I Love You So," a tune co-written by Peggy Lee and Young. So does the sheet music, pictured in image #3. A few sources inaccurately add or suggest that Lee sings the number in the movie's soundtrack. Such is not the case. 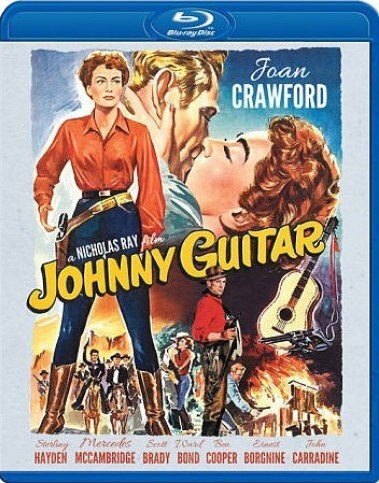 The only two vocals in the soundtrack are sung by the film's protagonist, Shirley Booth, and neither one is "I Love You So." (Both are standards: "Kiss The Boys Goodbye" & "I'm in The Mood For Love"). It would seem that "I Love You So" was written but either left unused or cut from the film. 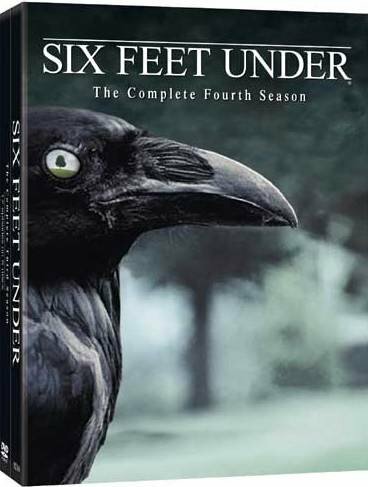 The movie under discussion was never released on VHS, not has it been officially released on DVD or any other film format. 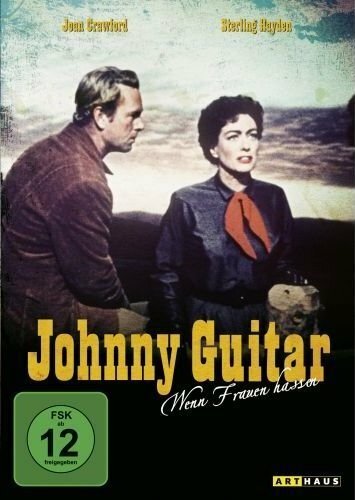 However, a homemade but reasonably well-prepared DVD-r version of the film can be found for sale at many reputable online sites. 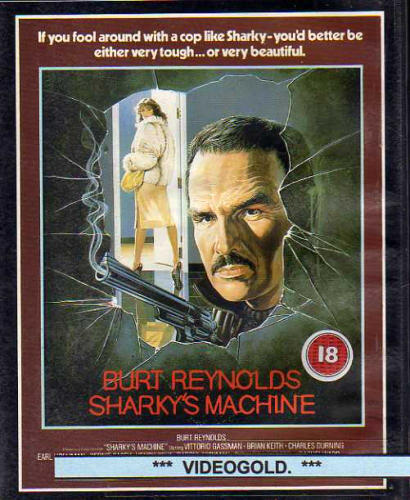 As its front cover, the DVD-r in question replicates the poster shown in image #3 above. 1 - 3. 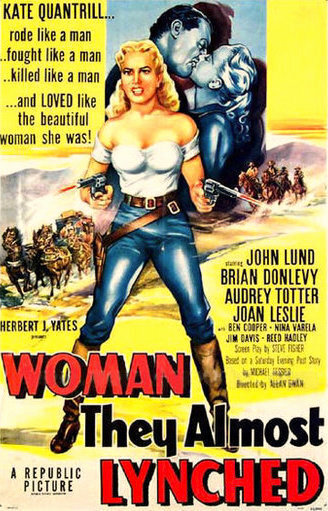 Title: The Woman They Almost Lynched / Note: Various film websites report that Peggy Lee is heard in the soundtrack of this 1953 Republic Pictures film, singing a number whose lyrics she wrote, "How Strange." 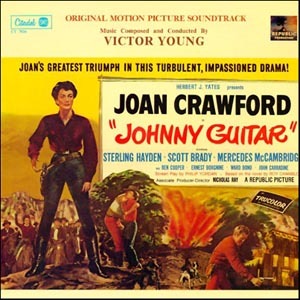 Composed by Victor Young, that song had actually been previously heard in another movie (see miscellanea section, XIV, down below), but the earlier version did not feature the Lee lyric. The aforementioned websites are partially wrong. While Peggy Lee's self-penned song is certainly heard in the movie, she is not the woman who sings it. 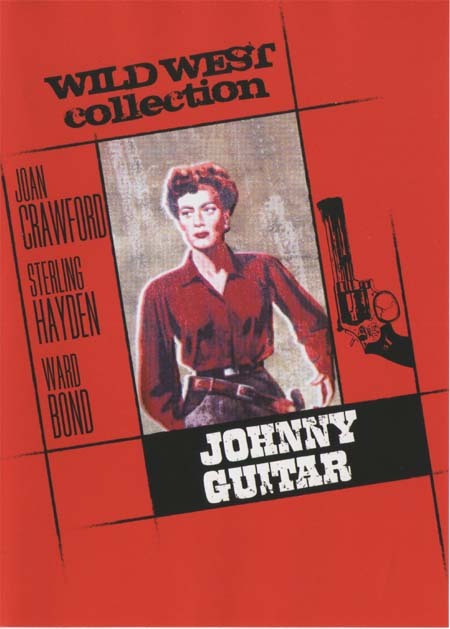 The film's version of "How Strange" was either overdubbed by an unidentified vocalist or sung by actress Audrey Totter, who plays a saloon singer. Her character is seen singing the number in full. (She even tackles a verse, which Lee did not reprise for her Decca recording of the song.) Seen above are movie posters and ads, including one for the French market. 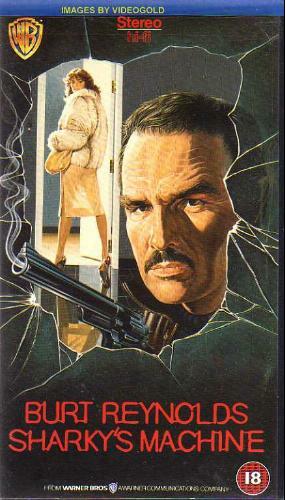 Totter is the gun-toting blonde. 1. 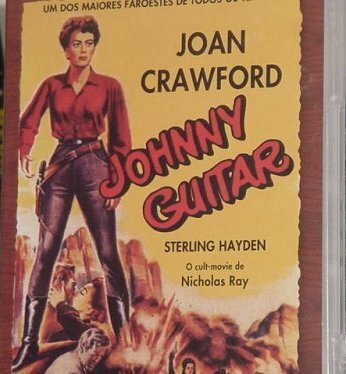 Title: Johnny Guitar / Format: LP / Label: Citadel / Cat. Num. : Ct 7026 / Rel. 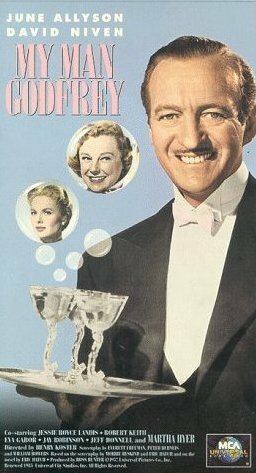 Year: 1981 / Note: Contains the soundtrack of this 1954 Republic Pictures film, for which Peggy Lee co-wrote and sang the theme. In this LP, Lee is heard singing the movie's theme twice -- first in the opening track and, later, as a reprise, in the closing track. 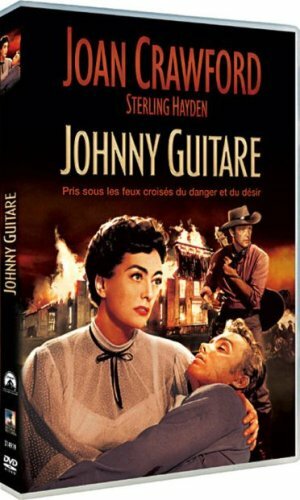 On a different note, I should clarify that these movie soundtrack versions of the song "Johnny Guitar" are different from the studio recording that Lee did for Decca Records. 2. 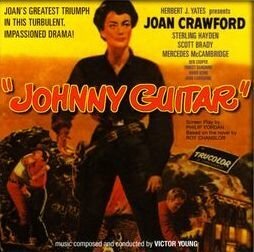 Title: Johnny Guitar / Format: CD / Label: Varése Sarabande / Cat. Num. : Vsd 5377 / Rel. Year: 1993 / Note: Same contents as in item #1. Officially sanctioned compact disc. 3. 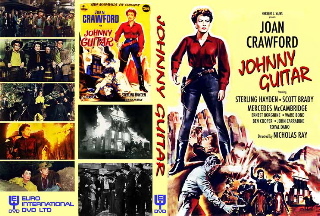 Title: Johnny Guitar / Format: CD / Label: Disconforme's Soundtrack Factory / Cat. Num. : (Spain) Sfcd 33509 / Rel. Year: 1999 / Note: Same contents as in item #1 and #2. Public Domain disc, probably copied from item #1. 4. 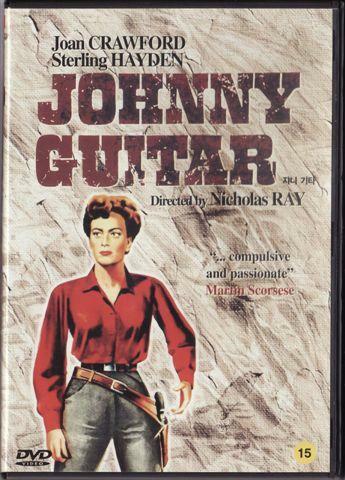 Title: Johnny Guitar / Format: CD / Label: Disconforme / Cat. Num. : (Spain) Gv 1341 / Rel. Year: 2002 / Note: Same contents as in previous items. Public Domain disc, apparently a re-designed reissue of item #3. 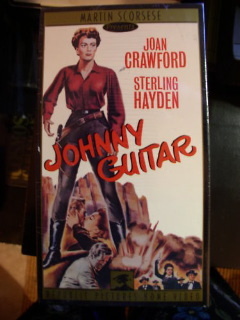 This section features all the VHS, DVD and Blu-Ray editions of the movie Johnny Guitar that I could locate on the web. I do not doubt that there are more, of which I remain unaware. (The large number of editions attests to the film's international popularity as a cult classic.) 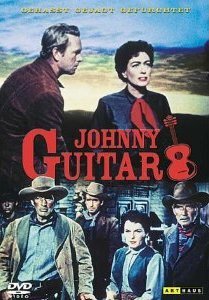 Bear in mind that my sources for most of these Johnny Guitar images are other online sites, whose reliability varies when it comes to specific data. Such website could have misidentified a few of the images, calling VHS tapes DVDs, and viceversa. Also, in many instances, the image is all what those websites provide; specific data has proven hard to track down. 19. 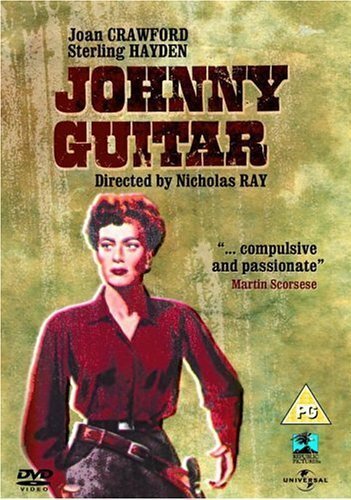 Title: Johnny Guitar / Format: DVD / Label: Art Haus / Cat. Num. : (Germany) unknown / Rel. Year: 2003 / Note: Appears to be a reissue of item #17. 2 & 3. 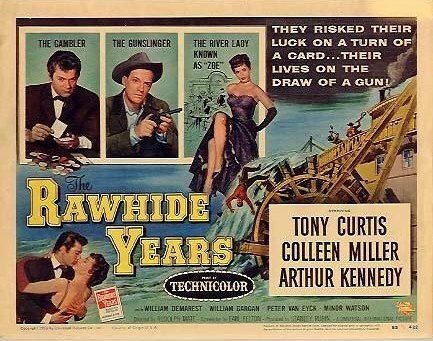 Title: The Rawhide Years / Note: Shown in these images are movie ads and posters for the 1956 Universal movie The Rawhide Years. Back in 1954, Peggy Lee had actually recorded her own interpretation of the song, for Decca Records. It was finally issued in 1957. 1. 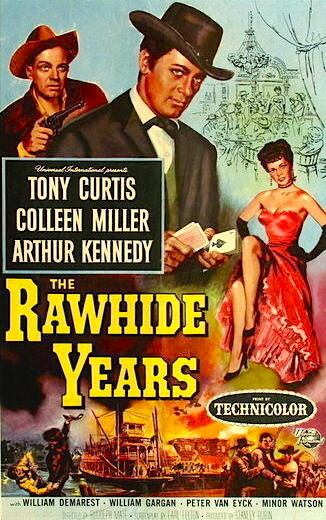 Title: The Rawhide Years / Format: DVDr / Label: Loving The Classics / Cat. Num: unknown / Rel. 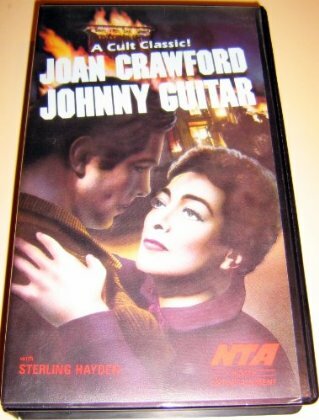 Year: unknown / Note: The film under scrutiny has not been commercially issued on DVD. 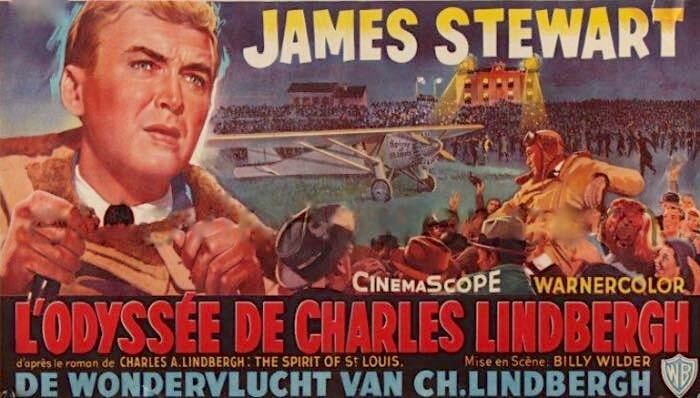 Image #1 shows a DDVr sold by the collectors' commercial website lovingtheclassics.com, which specializes in issuing Public Domain movies. 1 & 2. 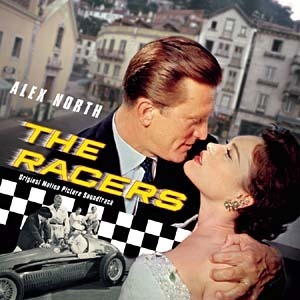 Title: The Racers / Note: In the soundtrack of this 1955 film from 20th Century Fox, Peggy Lee is heard singing the movie's love theme, "I Belong To You." The vocal seems to be the same one that Decca released on the 1955 single 29429 (78 rpm) and 9-29429 (78 rpm). Image #1 shows a movie card, image #2 a movie poster. 3. 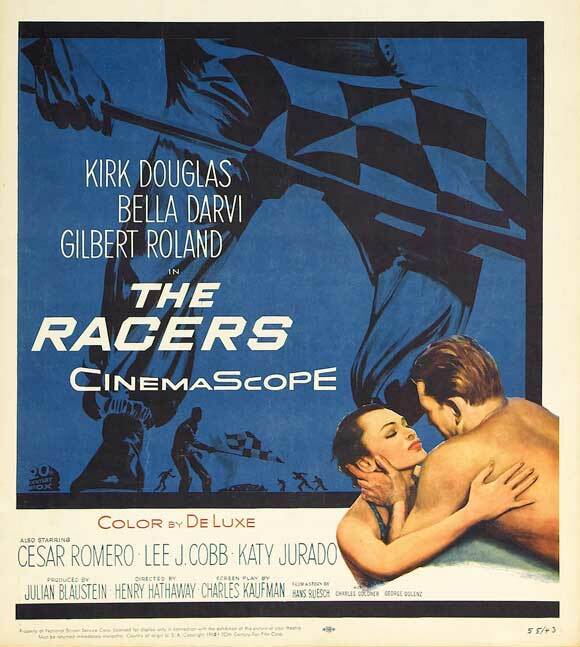 Title: The Racers / Format: VHS / Label: 20th Century Fox / Cat. Num. : 1879 / Rel. Year: 1991 / Note: As far as I have been able to ascertain, this movie has not been released on DVD. 4. 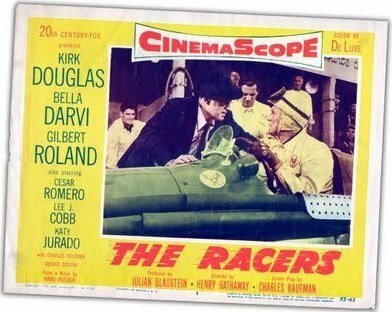 Title: The Racers - Daddy Long Legs ("Masters Film Music" Series) / Format: CD / Label: Varése Sarabande / Cat. Num. : Srs 2015 / Rel. Year: 2002 / Note: Contains the movie's soundtrack, including Peggy Lee's love theme. Also includes the ballet piece that Alex North composed for the movie Daddy Long Legs. 1 - 3. 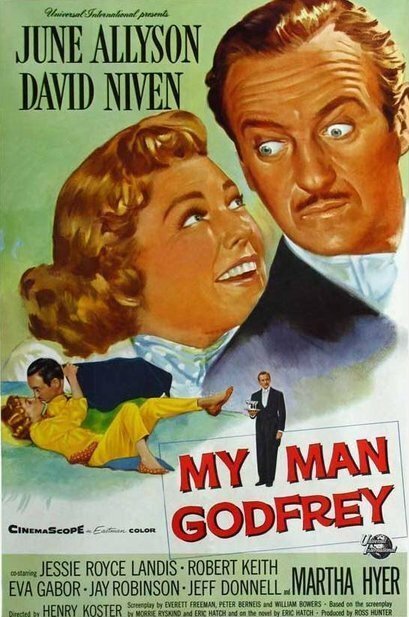 Title: My Man Godfrey / Note: Starring David Niven and June Allyson, the film under consideration is a remake of the 1936 William Powell - Carole Lombard classic. Shown above, in image #1, #2, and #3 are movie posters and ads. 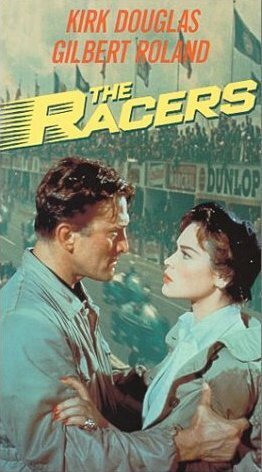 According to various internet sites, including Turner Movie Classics, the theme of this 1957 Universal movie was co-written by Peggy Lee with Sonny Burke, and is heard over the opening credits in the voice of Sarah Vaughan. Nevertheless, the commercial video listed below features no such vocal. 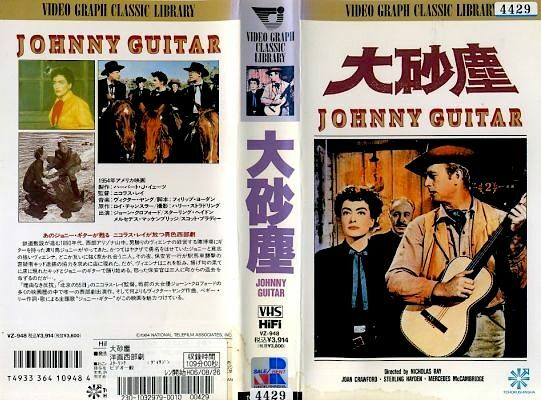 Instead, instrumental music is played over the opening credits of the VHS release. I do not know if TMC and other websites are simply mistaken on this matter. 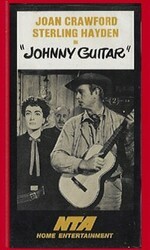 It could be that such a song was written by Lee and sung by Vaughan for the soundtrack, but ultimately discarded in favor of an instrumental. If any readers are better i formed on the matter, I would appreciate hearing from them via email (ivansantiagomercado@earthlink.net). 1. 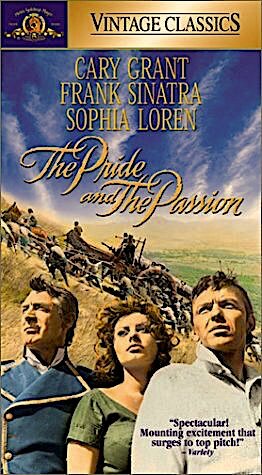 Title: The Pride And The Passion / Note: Primarily a lyricist, Peggy Lee occasionally wrote music, too. 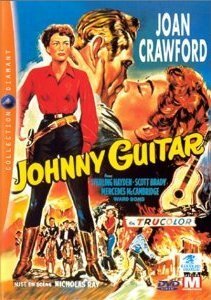 Online movie sites credit Lee with the instrumental theme of this 1957 United Artists movie. Reputable commercial sites, such as Amazon and Barnes And Noble, credits Lee as songwriter for the movie, too. Unfortunately, I have found no solid corroboration for this claim. 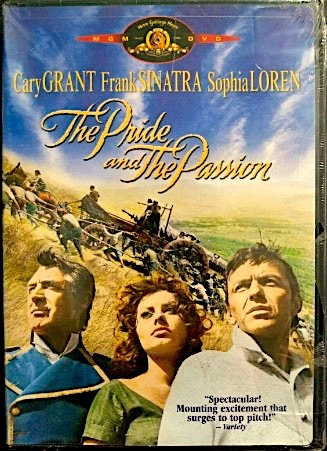 For what is worth, notice that Lee's friends Cary Grant and Frank Sinatra co-starred in the movie, thereby establishing a (tenuous) connection between her and the film. See also note #2. On display in image #1 is a movie poster. 1 - 4 . 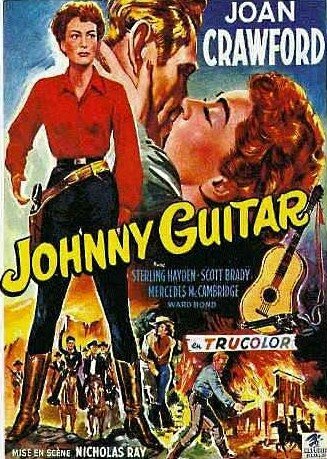 Title: Johnny Trouble / Note: Frank DeVol did the score and Peggy Lee wrote the theme for this 1957 Warner Brothers movie. Her songwriting assignment might have actually been done in collaboration with Victor Young, who would pass away in late 1956. Lee is also known to have done demo records of the song, which are still extant. (I will be further researching the matter of Young’s involvement and Lee’s demos when I create this discography’s page for movie soundtrack sessions.) But in the film the lyrics was sung by a male vocalist (Eddie Robertson), not by Lee. The above-seen images show movie ads, cards, and posters. 1 - 4 . 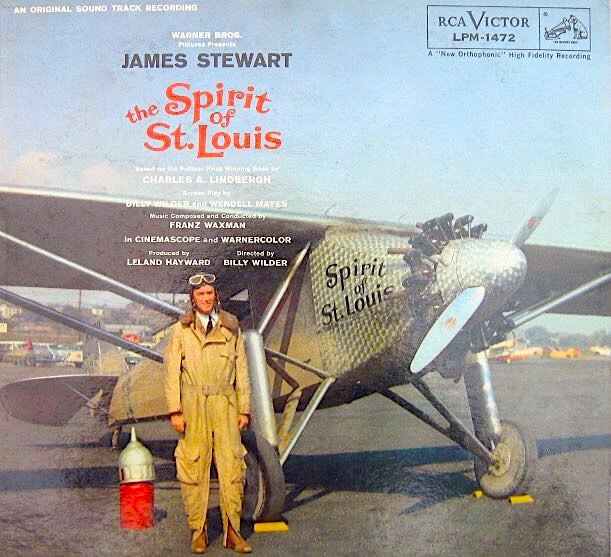 Title: The Spirit Of St. Louis / Note: In 1955, Peggy Lee and harpist Stella Castellucci co-wrote a song for this biopic about aviation maverick Charles Lindbergh, which premiered in 1957. Ultimately, their song, called “We,” was not used. Warner Brothers opted to use instrumentals instead, except for an uncredited vocal version of the late 1920s tune “Rio Rita,” heard through a phonograph. “My first collaboration with Peggy was a song called We,” commented Castellucci in her autobiography Diving Deep For Sea Shells. 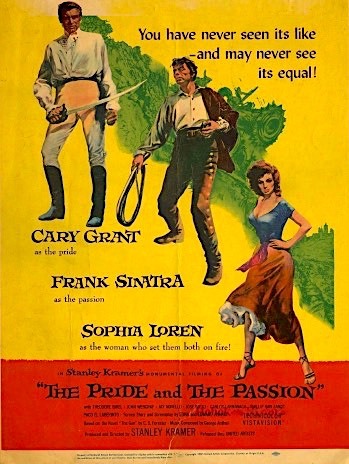 “Peg wrote the lyrics and I wrote the music … Peg submitted it for the main title and it was almost chosen.” The above-seen images show movie ads and posters. 1 - 2. Title: H.G. 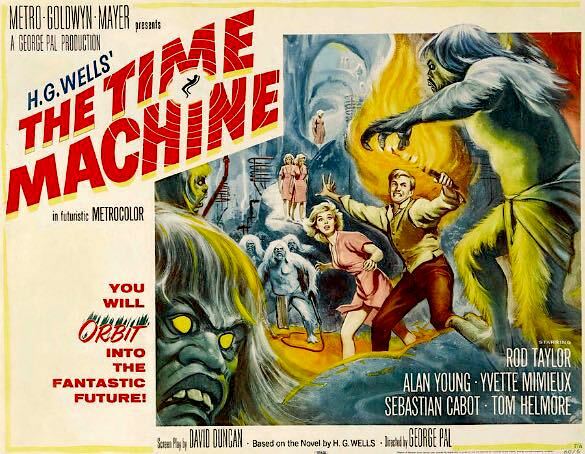 Well's The Time Machine / Note: Peggy Lee is credited with writing both words and music for the theme of this 1960 George Pal film. Entitled "The Land Of Leal," the theme was even incorporated to David Duncan's original script (viewable, as of July 2011, at http://www.dailyscript.com/scripts/TheTimeMachine_1959.html ). Unfortunately, however, the song ended up being dropped from the final movie product. The very effective opening of H.G. Well's The Time Machine spotlights a battery of clock sounds. According to the script, Peggy Lee's composition was to follow that opening. 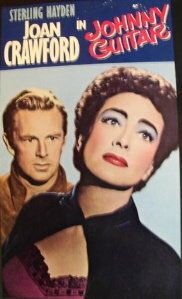 In its place, the actual movie features a typical, sweepingly dramatic music score. 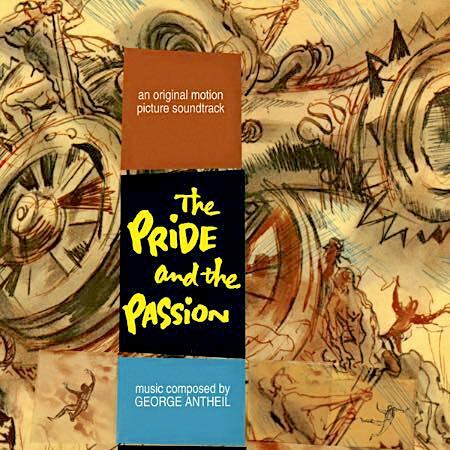 (Russ Garcia was responsible for the film's full music score.) Through the rest of the movie, there were two or three additional spots where the melody was to be heard, according to the script. 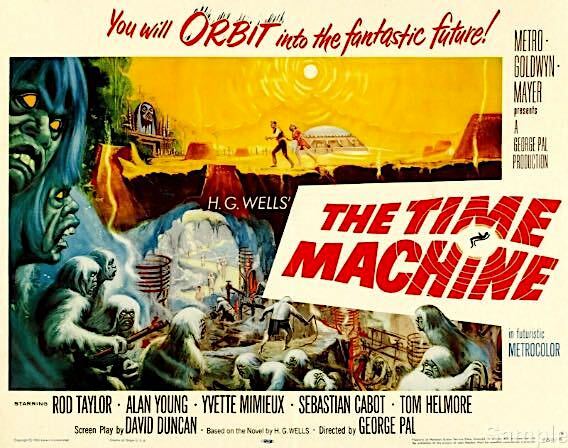 The protagonist himself (The Time Traveler) was expected to whistle the melody, identified in the script as his favorite tune. In the final movie product, the protagonist shows a penchant for voiceovers but not for whistling. 4. 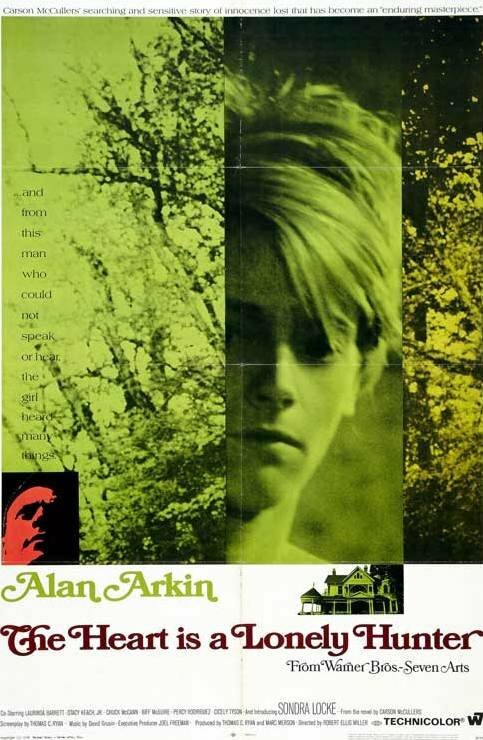 Title: Pieces Of Dreams ("Warner Archives Collection" Series) / Format: DVD / Label: Warner / Cat. Num. : unknown / Rel. Year: 2013 / Note: "on demand" or "made to orderr" DVD. 2 - 4. 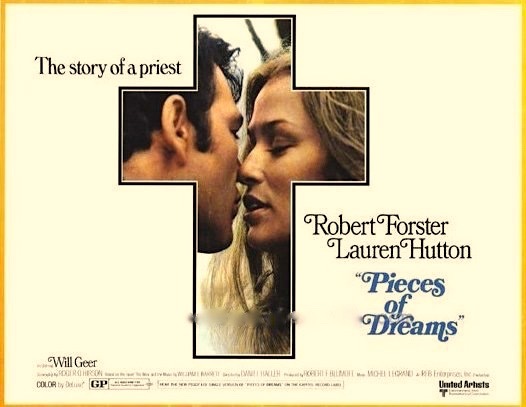 Title: Pieces Of Dreams / Note: In this 1970 United Artists movie, Peggy Lee is heard singing the debut vocal of a number that many other artists would record later on. The song in question is the film's theme, "Pieces of Dreams," also known as "Little Boy Lost." The number also went on to become an Academy award nominee in the category of Best Song. Shown above are posters and stills from the film. 5. Title: Pieces Of Dreams / Format: VHS / Label: unknown / Cat. Num. : unknown / Rel. Year: unknown / Note: I am not entirely sure of the existence of this video. All claims come from anecdotal, vague stories. 1 & 2. 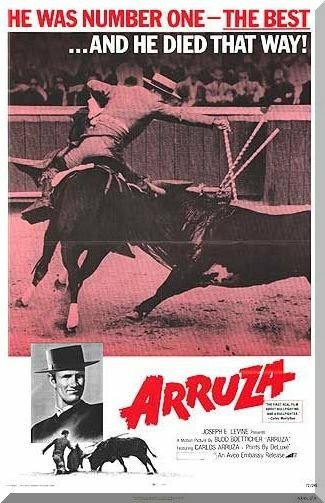 Title: Arruza / Note: In this 1971 Avco Embassy documentary, Anthony Quinn narrates the life of Mexican matador Carlos Arruza. 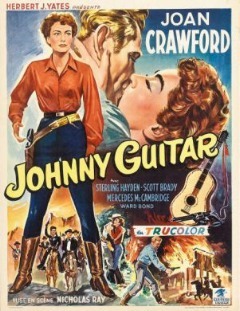 A movie poster is shown in image #1. 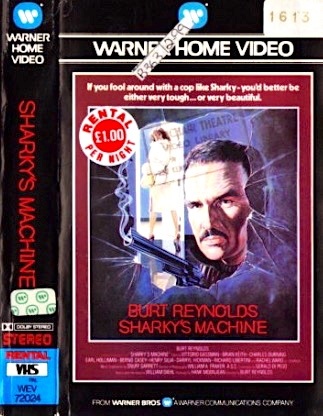 The documentary was released once on VHS (image #2). 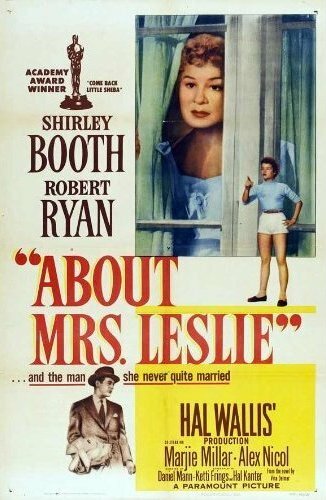 Although Peggy Lee was not involved at all in the making of this particular film, there was a connection between her and the movie's subject. As will be shortly explained, that connection raises in turn the possibility of her involvement in an prospective, earlier version of the movie. According to an article published in a 1957 magazine, the matador was friends with Lee's third husband, Dewey Martin, and even dedicated a bull to her. One year later, she composed a number entitled "The Walk To The Ring (Theme For Carlos)." 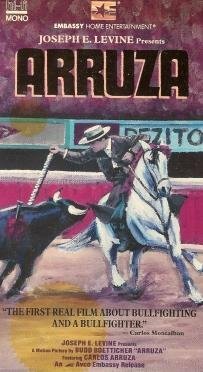 I have not heard it, and cannot categorically assert that the "Carlos" in question was Arruza -- but I'm assuming such to be the case. Because the song identifies itself as a theme, I am left to wonder if it was conceived for a prospective movie -- and if such hypothetical movie could have been an early, pre-production version of this 1971 documentary. 1. 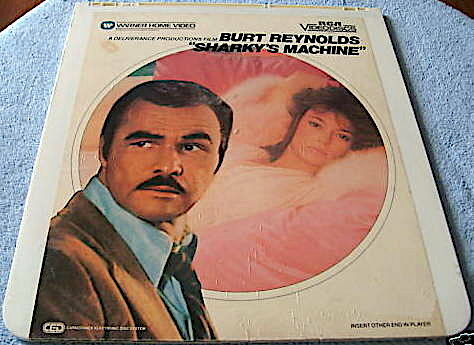 Title: The Soundtrack Music From Burt Reynolds Sharky's Machine / Format: LP / Label: Warner Brothers / Cat. Num. : Bsk 3653 / Rel. 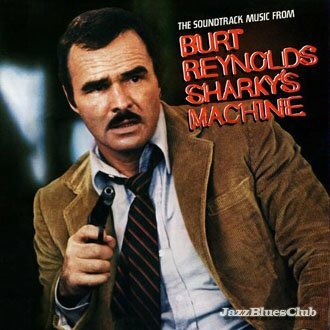 Year: 1981 / Note: For this movie's soundtrack, Burt Reynolds and company hired a constellation of jazz and pop stars. Peggy Lee was enlisted to sing a number entitled "Let's Keep Dancing." 2. 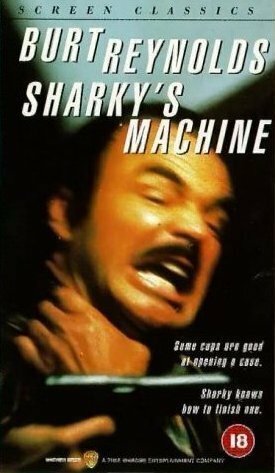 Title: Sharky's Machine / Note: movie poster. 8. 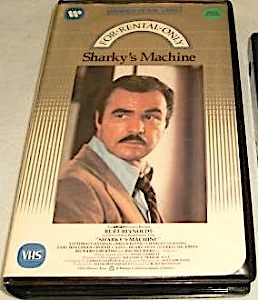 Title: Sharky's Machine / Format: VHS / Label: Warner's Orion / Cat. Num. : unknown / Rel. 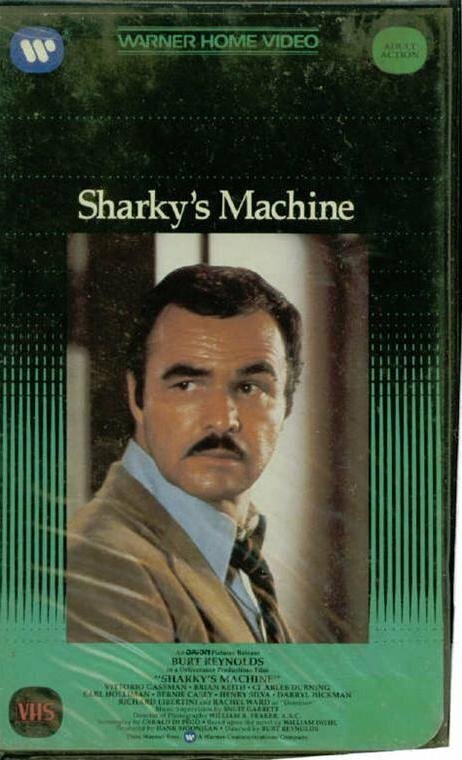 Year: unknown / Note: Apparently a reprint of item #7, with minor differences in the cover's design (color, picture size). Since I have not watched this flick, I can neither confirm nor deny that Lee's vocal "Let's Keep Dancing" is heard during the film itself. I have come across one movie viewer's report indicating that the vocal is heard, but that viewer's report struck me as vague and not entirely reliable. 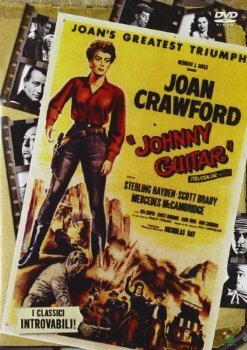 For movies such as Johnny Guitar, About Mrs. Leslie, and Lady And The Tramp, Peggy Lee was hired to write lyrics before the film was completed. 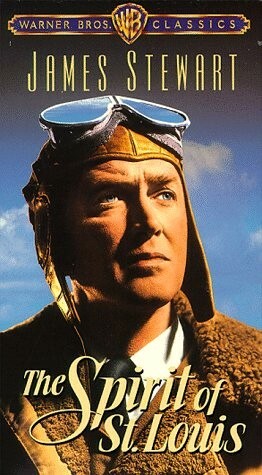 In other instances, Lee was not part of the given film's hired songwriters, however, but instead acted independently. Usually at the request of (or otherwise with encouragement from) the film's composer, she would write lyrics to music featured in recently completed movies. (The best-known of such cases happened after Duke Ellington asked Lee to write lyrics to his theme for Anatomy Of A Murder.) 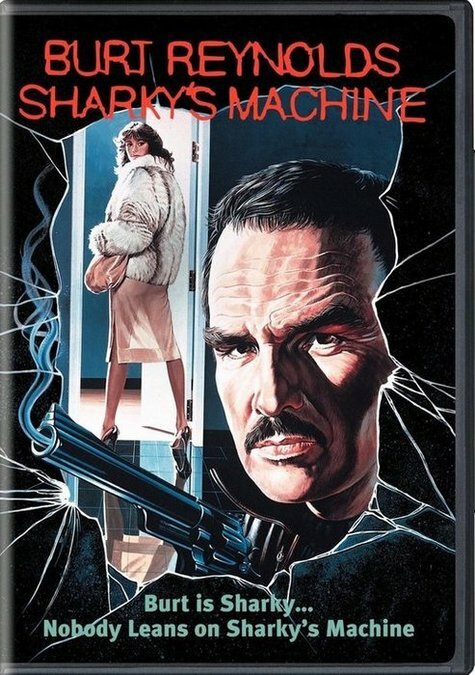 Below is a chronologically arranged list of all the films for which Lee followed that modus operandi, or a similar one. 1. 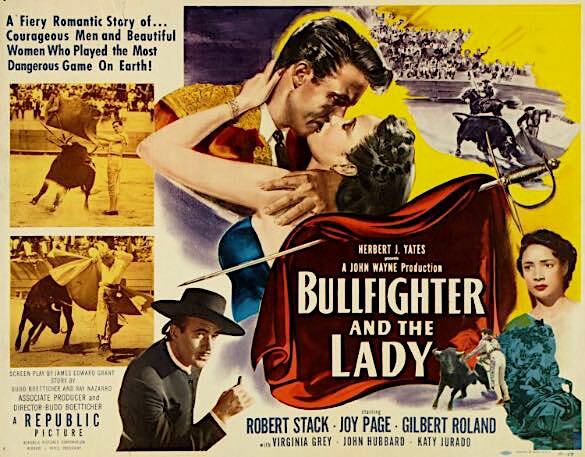 Title: The Bullfighter And The Lady / Note: Victor Young composed the theme for this 1951 Republic Pictures film. 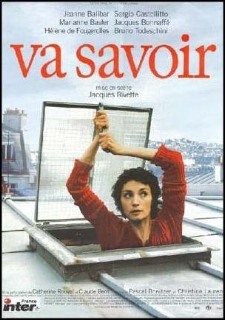 In the movie, the theme is heard both as an instrumental and in a version with Spanish lyrics. One year later, Peggy Lee wrote English lyrics for it. 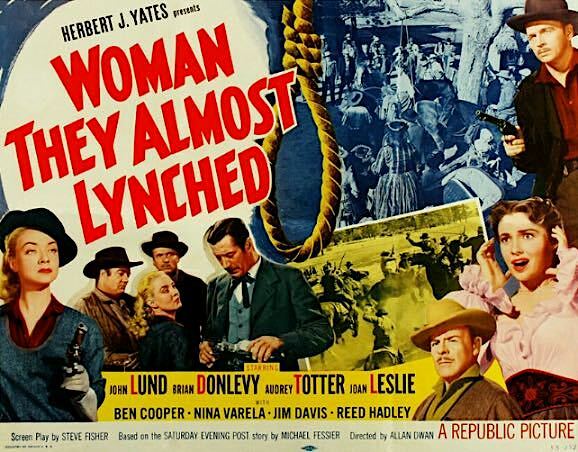 Renamed "How Strange," the Young - Lee number was then re-used as the theme of the 1953 Republic Pictures film The Woman They Almost Lynched (discussed in section II above). 2. 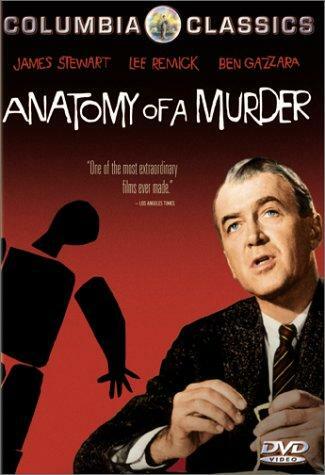 Title: Anatomy Of A Murder / Note: Some time in 1959, Duke Ellington asked Peggy Lee to write a lyric set to the theme of his score for the Columbia film Anatomy Of A Murder, which premiered that same year. She came up with "I'm Gonna Go Fishin'," a piece which has been much recorded by other jazz artists. As far as I can ascertain, the Lee lyric was written after the movie had already been completed, and therefore was never intended for inclusion in the film itself. For more details, consult my notes under the session at which Lee recorded the song (July 26, 1960), in this page. 3. Title: Joy House (aka Les Felins) / Note: In 1964, Peggy Lee wrote a lyric to Lalo Schrifrin's theme for this MGM thriller. Lee's lyric is not heard in the movie. 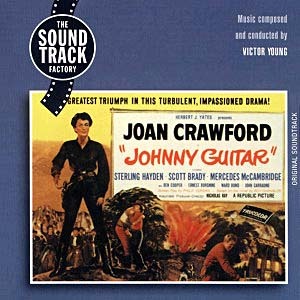 Since it was written on the same year in which the film premiered, perhaps it was slated for inclusion in an album soundtrack which never materialized. In any case, Lee herself recorded the song for Capitol Records on July 6, 1964, under the title "Just Call Me Lovebird." Capitol incorporated it to her album In The Name of Love. 4. 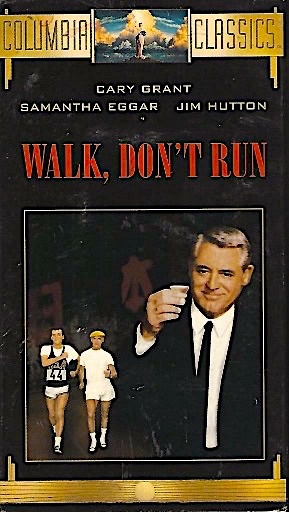 Title: Walk, Don't Run / Note: With composer Quincy Jones, Peggy Lee wrote two numbers ("Stay With Me, Stay With Me" and "Happy Feet") for this 1966 Columbia Pictures film, which was Cary Grant's swan song. Lee was also slated to record them for the movie's soundtrack, but illness prevented her from doing so within the scheduled time. Hence Tony Clementi sings "Stay With Me, Stay With Me" in the movie soundtrack, and The Don Elliott Voices take care of "Happy feet." Later on, though, she did go on to record both numbers for Capitol Records (May 21, 1966). 5. 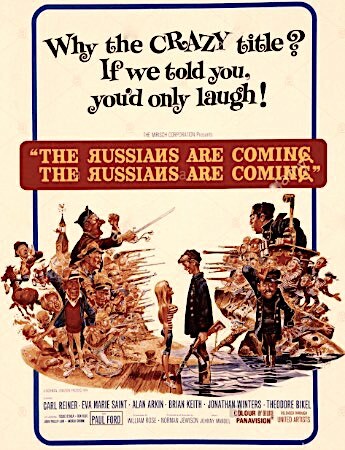 Title: The Russians Are Coming, The Russians Are Coming / Note: Johnny Mandel asked Peggy Lee to write a lyric to the love theme from his score for this 1966 United Artists film. The result was "The Shining Sea," one of the better-known ballads from Lee's songwriting catalogue. Mandel was not commissioning the song for the soundtrack of the film (which was completed by then, and where this number is heard only as an instrumental), but for the United Artists 1966 LP The Russians Are Coming, The Russians Are Coming; Original Motion Picture Score. Irene Kral sings Peggy Lee's lyric in that album. Lee recorded her own version for Capitol Records on May 21, 1966. 6 & 7. 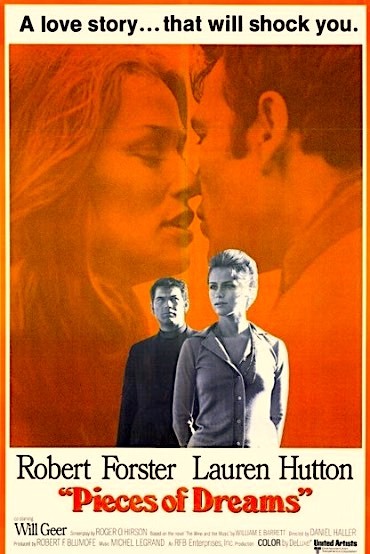 Title: The Heart Is A Lonely Hunter / Note: Dave Grusin wrote the music for this 1968 Warner Brothers film. Lee wrote lyrics to the movie's theme that same year, but did not record them until 1974, when she and Grusin worked together on Let's Love, her one album for Atlantic Records. The intention with which the lyric was originally written remains unclear. As with the aforementioned Theme From Joy House, it could be that the song was originally planned for inclusion in an album soundtrack which never materialized. 8. Title: The Nickel Ride / Note: This entry shares various similarities with the previous one. 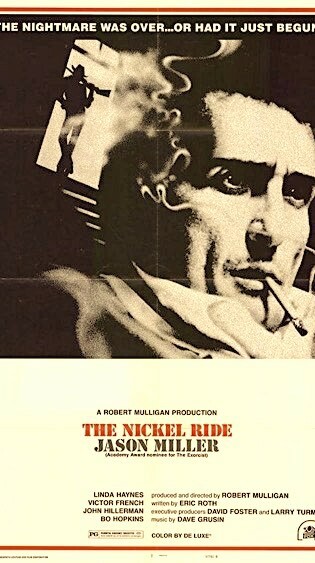 The Nickel Ride is a Twenty Century Fox 1974 movie scored by Dave Grusin. Peggy Lee wrote a lyric for the movie's theme while she was working with Grusin at Atlantic Records. The number is not heard in the movie, and Lee's own recording of the (seemingly autobiographical) lyric remained unreleased until its appearance as a bonus track in the 2003 CD edition of the Atlantic album Let's Love from Rhino Handmade Records. 9 & 10. 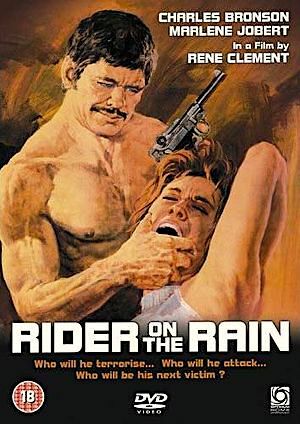 Title: Rider On The Rain (aka Le Passager de la Pluie) / Note: Peggy Lee wrote an English lyric to Francis Lai's main theme for this French - Italian film, which was produced by Greenwich Films and Medusa Produzione in 1970. 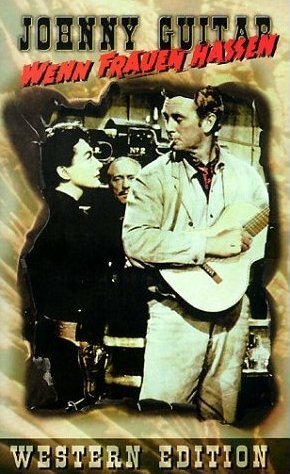 I do not know if Lee had any connection to the film, in which her lyric is not heard. She did record the number herself, and included it in her 1970 Capitol album Make It With You. Over the last few decades, Capitol and Decca have leased selected studio recordings by Peggy Lee for inclusion in movie soundtracks. Not surprisingly, the most commonly requested numbers have been her best-known hits (with "Fever" leading the pack) and her own hit compositions (primarily, "It's A Good Day"). 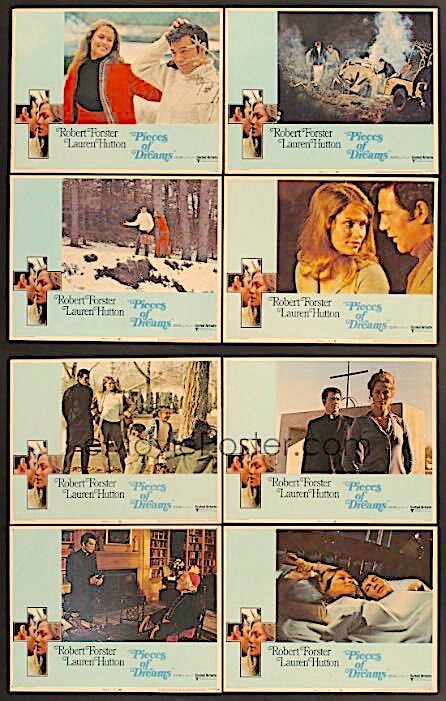 Below, I am offering just a sample of films for which other Lee recordings were chosen, so as to give an idea of the variety of movie genres at hand. 1. 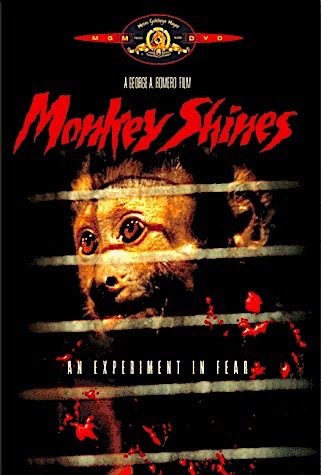 Title: Monkey Shines / Note: Peggy Lee's recordings of "There'll Be Another Spring," "Ain't We Got Fun," "The Glory Of Love" and "That's All" were incorporated to the soundtrack of this 1988 George Romero horror flick. "That's All" is prominently heard in the film's climactic scene, to particularly sardonic effect. An Orion picture. 2. 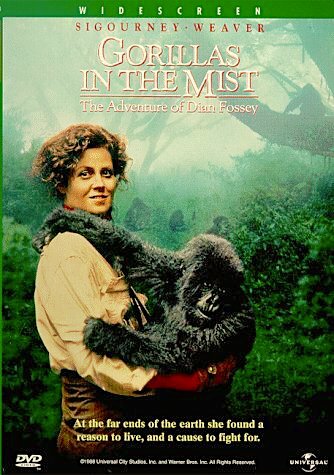 Title: Gorillas In The Mist; The Story of Dian Fossey / Note: Peggy Lee's recordings of "September In The Rain," "It's A Good Day" and "Sugar" are listed as part of this 1988 Warner Brothers film's soundtrack. 3. 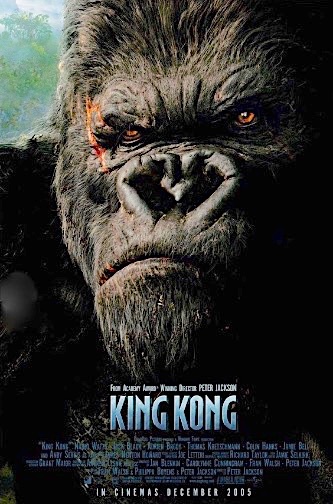 Title: King Kong / Note: Peggy Lee Decca recording of "Bye, Bye, Blackbird" is used to memorable impact in a scene of this 2005 Universal Pictures film, which is one among Hollywood's various remakes of the 1930s classic tale. 4. 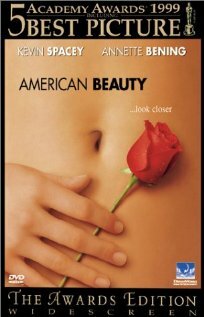 Title: American Beauty / Note: Written by Alan Ball and directed by Sam Mendes, the Oscars' Best Picture for the year 1999 brought long-overdue attention to Peggy Lee's excellent but long-neglected 1949 recording of "Bali Ha'i." A Dreamworks film. 5. Title: The Notorious Betty Page / Note: Along with Julie London and Jeri Southern, Peggy Lee is one of the three "luscious blondes" from the 1950s heard in the soundtrack of this 2005 movie about the raven-haired 1950s pinup girl. "Goody Goody" and "It's A Good Day" are the Lee recordings used. Co-produced by Killer Films and HBO. 6. 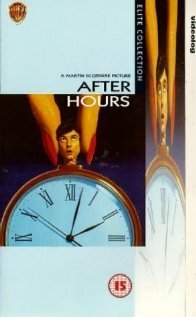 Title: After Hours / Note: Peggy Lee's recording of "Is That All There Is" was put to very effective use in the soundtrack of this 1985 Martin Scorsese film. 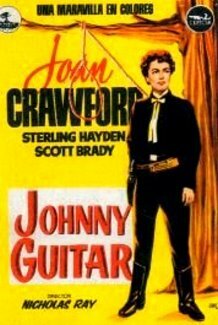 To this day, some fans of Lee identify their viewing of this movie as the time in which they became either acquainted with or interested in the singer. Produced by Geffen Pictures and Warner Brothers. 7. Title: Va Savoir / Note: Peggy Lee's 1964 Capitol recording of "Senza Fine" was included in the soundtrack of this 2001 French romantic comedy, produced by Films du Losange. The inclusion in the soundtrack elicited in turn EMI's release of a promotional CD single, containing only that Lee recording. 8. 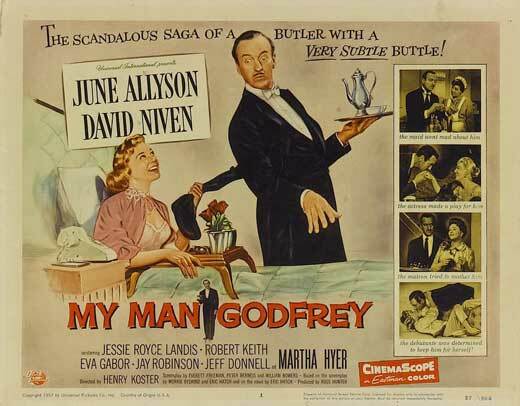 Title: About Adam / Note: Peggy Lee's recording of "Sisters" is part of the soundtrack of this 2005 BBC-produced romantic comedy. 9. 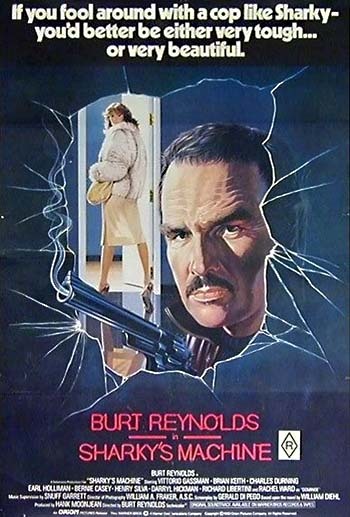 Title: This World, Then The Fireworks / Note: Peggy Lee's rendition of "My Silent Love" is included in the Chet Baker-favored soundtrack of this 1997 Orion noir. 10. Title: La Tête De Maman / Note: Peggy Lee's version of "You're So Right For Me" is one of the numbers heard in the soundtrack of this 2007 French coming-of-age film. 11. 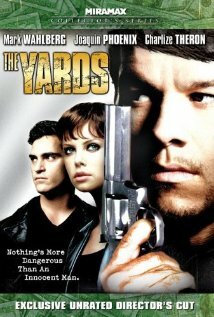 Title: The Yards / Note: This family crime drama was released by Miramax in 1999. Peggy Lee's recording of "I'm Beginning To See The Light" is part of its soundtrack. 12. 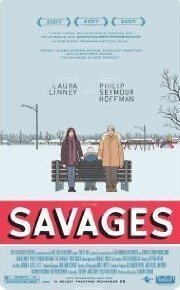 Title: Savages / Note: Peggy Lee's Decca recording of the children song "I Don't Want To Play In Your Yard" graces the soundtrack of this siblings story, released by Fox Searchlight in 2007. 13. 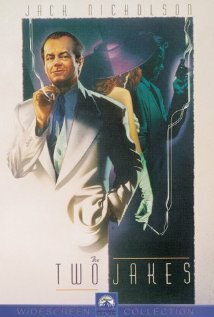 Title: The Two Jakes / Note: Renditions by Peggy Lee ("Don't Smoke In Bed") and Jo Stafford ("Haunted Heart") are heard in this 1990 Paramount sequel to the 1975 neo-noir classic Chinatown. 14. Title: Cafe Society / Note: Peggy Lee, June Christy, and Kurt Elling are heard in the soundtrack of this period drama (1950s) directed by Raymond de Felitta, who would go on to film the documentary 'Tis Autumn: The Search for Jackie Paris 10 years later. The song "Remind Me" is heard as recorded by Peggy Lee and also as performed by some of the movie's actors. 15. 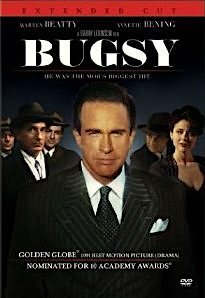 Title: Bugsy / Note: Peggy Lee's Capitol renditions of "Waiting For The Train To Come In" and "Why Don't You Do Right?" 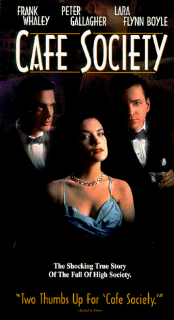 are part of the soundtrack of this 1991 film about gangster Bugsy Siegel. 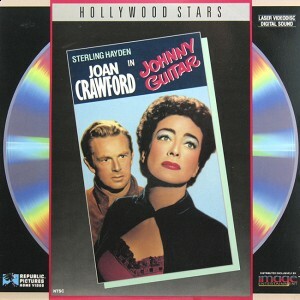 Capitol artists Johnny Mercer, Jo Stafford, and Margaret Whiting are among the other acts whose recordings grace the film's soundtrack. Over the last few decades, Capitol and Decca have leased selected studio recordings by Peggy Lee for inclusion in TV soundtracks. Below, I have listed only the two most worthwhile entries in this category. 1-3. 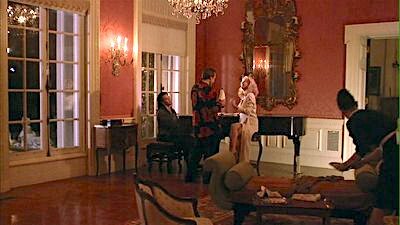 Title: Bernard And Doris / Note: Written by Hugh Costello, produced by Mark Kassen and directed by Bob Babalan, this noteworthy 2006 HBO TV movie features a well-integrated all-Peggy Lee soundtrack. The film popularized "I Love The Way You're Breaking My Heart," a very obscure 1951 Peggy Lee recording that had remained unreleased until 2000. 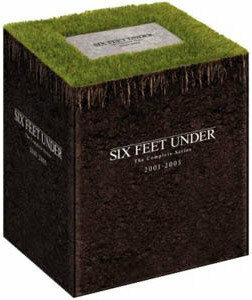 That number is heard in two versions, one by Lee and another by stars Susan Sarandon and Ralph Fiennes. Sarandon also sings "All I Need Is You," a relatively obscure number that Lee recorded in 1941, when she was the vocalist of The Benny Goodman Orchestra. "Somebody Nobody Loves" and "The Best Is Yet To Come" are the other two songs heard during the film, both in Peggy Lee's voice. The movie's real-life story centers on the relationship between wealthy socialite Doris Duke and her butler Bernard Lafferty, a recovering alcoholic who had previously left Peggy Lee's employ in order to enter a rehabilitation center. 4-12. Title: Six Feet Under / Note: During the 7 seasons of Alan Ball's arresting HBO series Six Feet Under (2001-2005), Peggy Lee's voice was heard in 7 episodes. "I Love Being Here With You" was featured in the pilot. 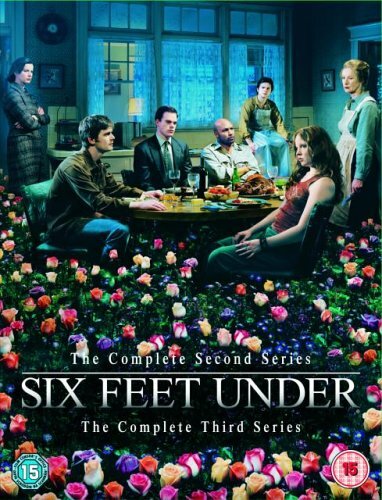 That scene from the pilot was partially reprised in the second episode from that same season, and also in the first episode of the second season. "Things Are Swingin' " was also played during the first season's second episode, and "Everything's Moving Too Fast" during the twelfth. Two more Lee recordings were used: "Santa Claus Is Coming To Town" (third season's first episode, broadcast in 2003) and "Take A Little Time To Smile" (fourth season's ninth episode, broadcast in 2004). 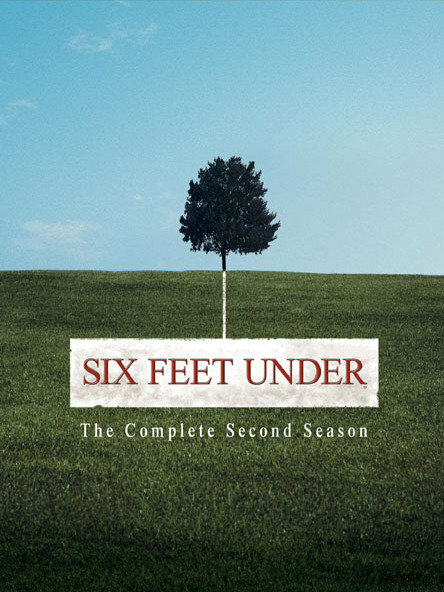 Furthermore, "I Love Being Here With You" was included in the 2002 Universal CD Six Feet Under; Music From The HBO Original Series (#440 017 031 2).